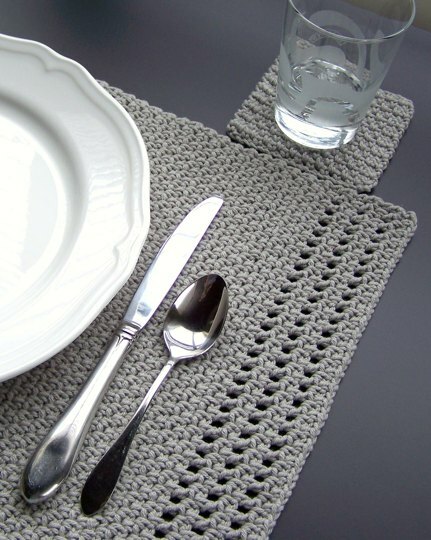 Making placemats is a wonderful way to develop your crochet skills while adding a decorative touch to your dinner table. This roundup of patterns features designs suitable for everyday use, formal dinners, and holiday parties. The subdued edging on this placemat gives it an elegant design. If desired, you can even make matching coasters! Love Crochet has the details for this free pattern. 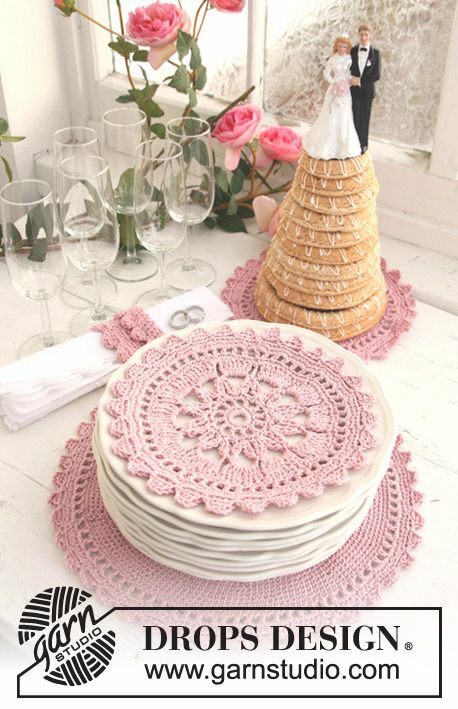 A great project for the novice crochet enthusiast, this lacy design is a lovely compliment to any table setting. Visit Red Heart for the free pattern. 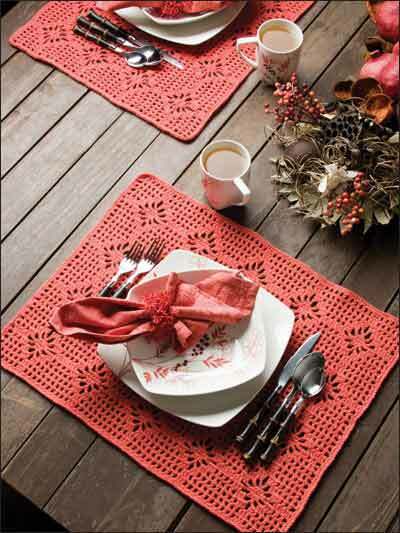 An intermediate level project, this placemat design uses a spiderweb stitch pattern suitable for both casual and formal place settings. Free Crochet Patterns has the details. 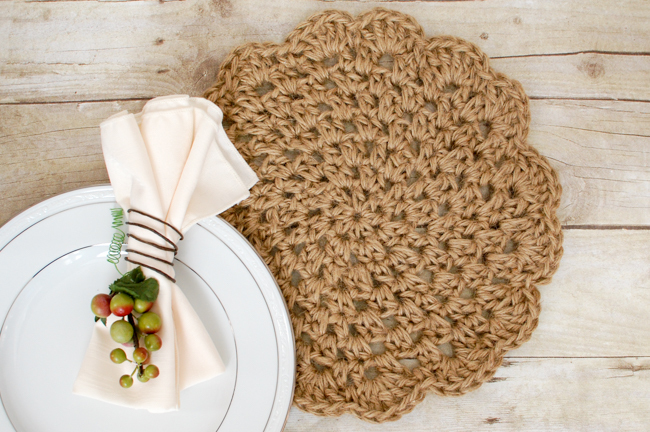 Crocheting with jute cord gives this round placemat design a rustic look. Petals to Picots has the free DIY pattern. 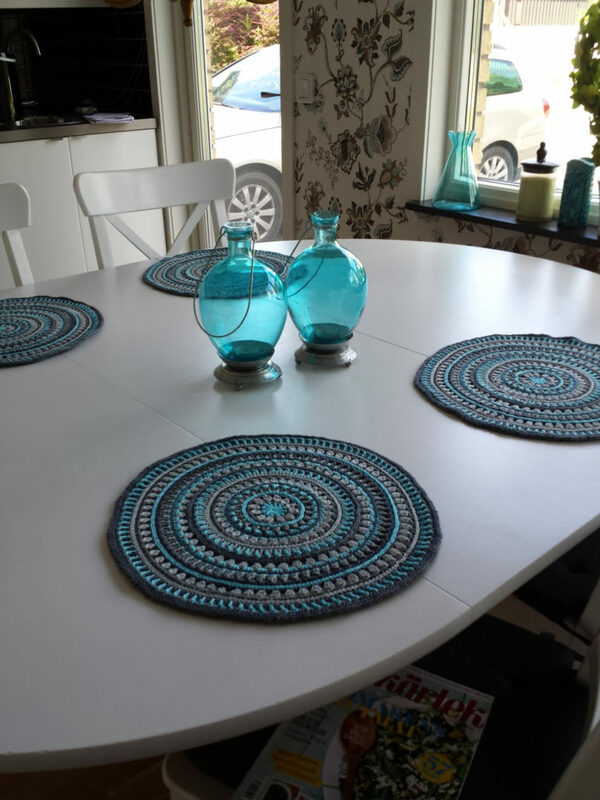 If you want a dramatic looking placemat, this gorgeous mandala inspired design is just perfect. However, be advised that the design requires standing single crochets and standing double crochets. 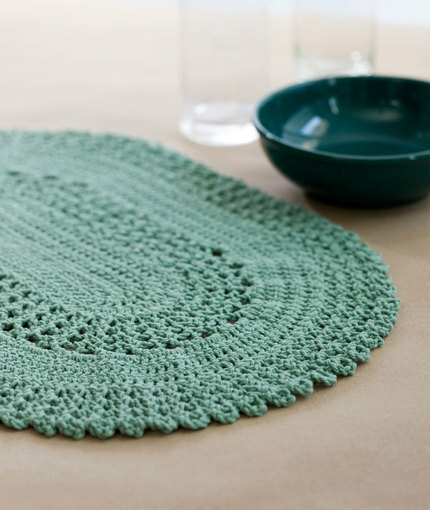 Stitches and Supper has the full tutorial for this free crochet placemat design. An openwork stitch pattern and matching napkin rings make this project a natural choice for adding a beachy vibe to your dinner table. Purchase the pattern at Annie’s E-Patterns Central. Take your crochet skills to the next level with an intermediate level project with an attractive yo-yo crochet design. 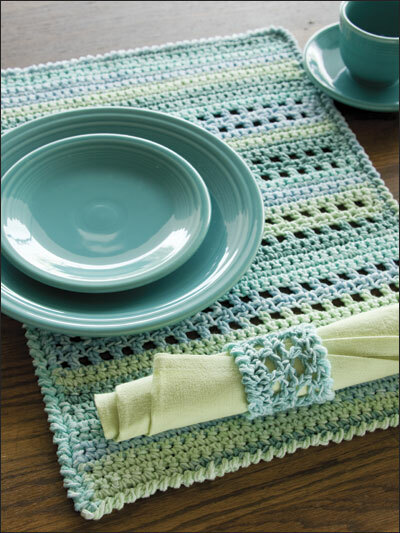 The finished placemats make a lovely addition to your spring and summer dining table. FreePatterns.com has the details. 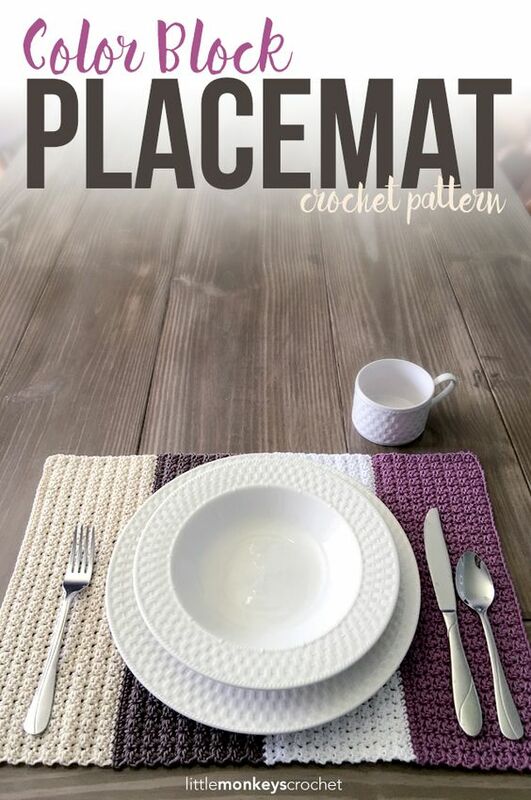 Head over to You Can Make This to purchase a pattern for a richly textured placemat with a casual look. 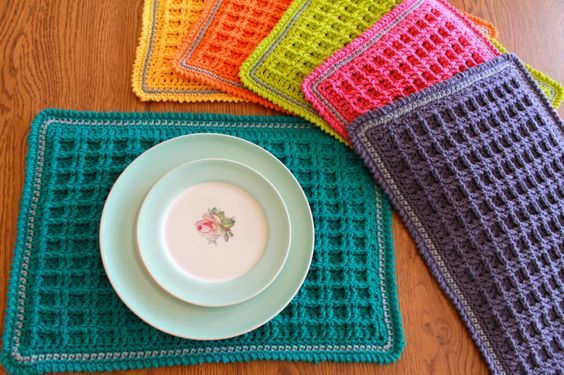 Make each placemat a different color for an eclectic vibe. 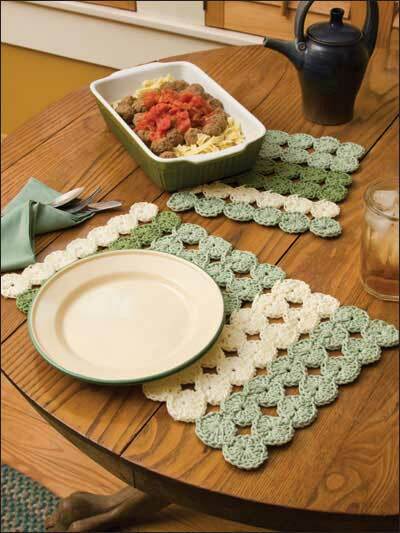 A reversible pattern gives this placemat added versatility as part of your home decor. Head over to Ravelry for the free pattern. 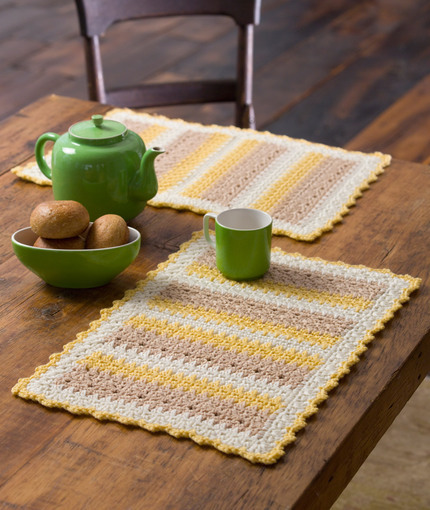 Red Heart has a pattern for a yellow, white, and tan striped placemat with a lacy edge. 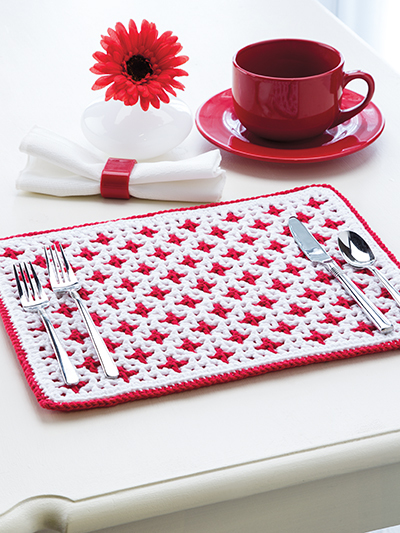 The simple color block design of this crochet place mat pattern makes it perfect for everyday dining. Visit Little Monkeys Crochet for the details on this free pattern. This vintage inspired design is sweet and feminine, making it perfect for entertaining friends at a tea party! Purchase the pattern at Drops Design. 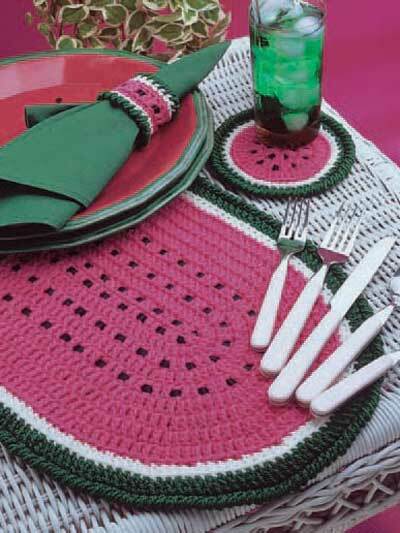 Crochet these watermelon placemats to give your dinner table a summery feel. FreePatterns.com has the details. 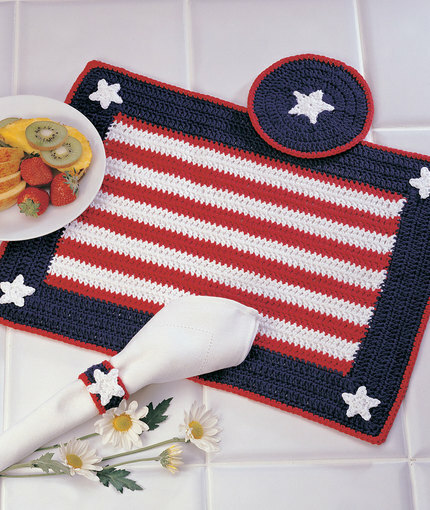 Decorate for July 4th, Memorial Day, Labor Day or any patriotic event with placemats designed in the style of the American flag. Visit Red Heart for the free project pattern. 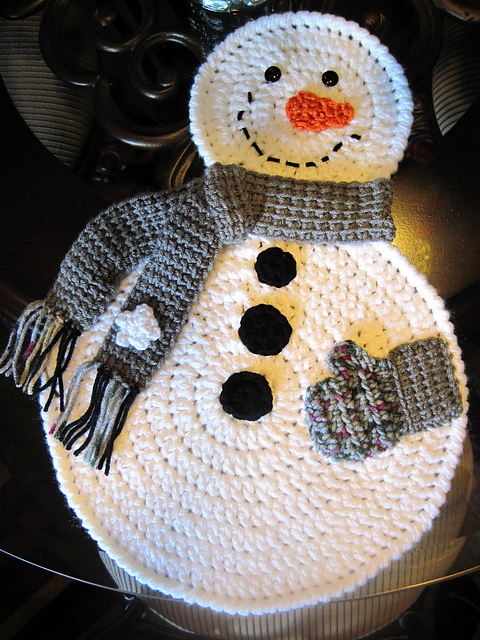 Get ready for winter with a festive snowman placemat design. Download the free pattern from Ravelry.